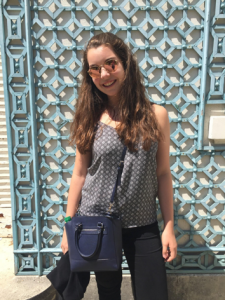 Sofia Paredes is a junior at Miami Country Day School. She plays on the varsity girls water polo team and is also a part of the girls varsity swim team. She loves spending time with her friends and family, and traveling around the world. She is a co-chair for the Walk for Cancer and is on the board of Girl Up. This is Sofia’s third year at The Spartacus.